The Boundary Waters Canoe Area Wilderness is an unbelievable gem. It rivals any wilderness area on the planet. Come and see it in the winter with a guide and a heated tent. Make sure to check out our calendar and plan your trip soon. We're filling dates up quickly. It doesn’t get any better than catching trout in a unique and beautiful setting in the BWCA wilderness. 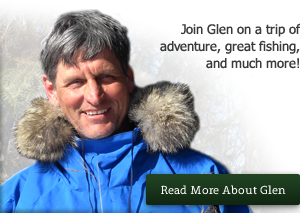 Glen Sorenson is the most knowledgeable and talented outdoors man I have ever met. I have gone on many winter camping trips with Glen and I always have a great time. The scenery is beautiful and fish don’t stop biting. Thanks Glen! View some of our trips in the photo gallery. Choose a journey that suits your needs. We offer camping trips for beginners, intermediate, and experts. Do you have a big group that wants to go on a winter camping journey? Save with our group discounts! Copyright © 2018 Wilderness Snow Journeys. All Rights Reserved.